What defines a comic book superhero as a unique character? Is it a name, or a costume, or a power set? What about a hero’s “secret identity”? Does it even matter who’s wearing the costume? If you’ve been reading this blog for a few months or more, you’ll recall (I hope) our post back in June about Superman #199, the classic DC comic book that featured the first-ever race between Superman and the Flash. That race ended in a tie, but the end of the story promised us readers a “terrific rematch, coming soon in The Flash!” So when the DC house ads for Flash #175 began appearing a few months later, my ten-year-old self was pumped. Surely, when the second race was run in the Fastest Man Alive’s own series, he’d win the victory that he so obviously and logically deserved (in my mind, anyway. See that earlier post for more details of my reasoning). And regardless of the outcome, with Carmine Infantino (the artist who’d pencilled every single Flash solo story I’d ever read) drawing the book, it was bound to look great. 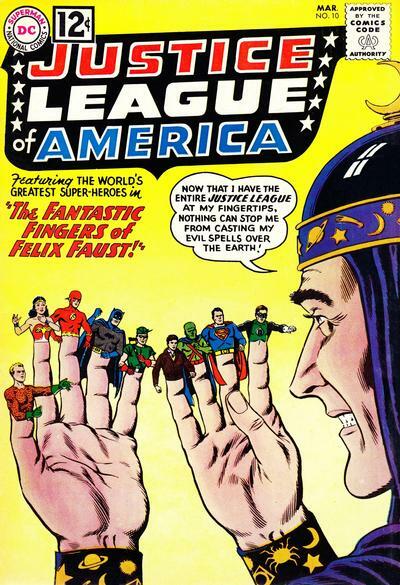 About two years ago, a couple of months following the debut of this blog, I wrote a post about the first issue of Justice League of America I ever bought (#40), a comic book I credited with making a significant contribution to my personal moral development. As I said at the time, I thought that that particular issue, though missing the mark in some ways (and simply feeling dated in others), still held up pretty well as an earnest endorsement of individual ethical responsibility, informed by an awareness and appreciation of the common humanity we all share. 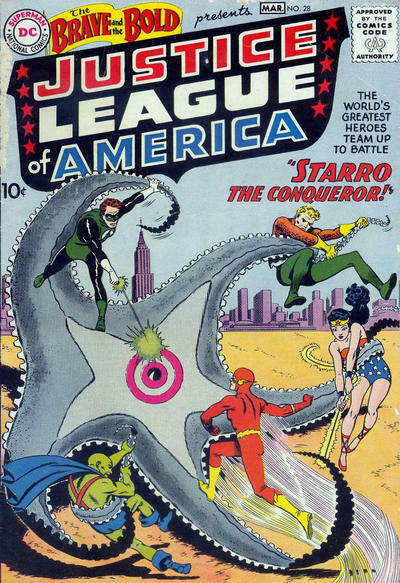 Since that time, I’ve been looking forward to re-reading and re-appraising Justice League of America #57, an issue with a similar theme, produced by the same writer, penciller, and editor as #40 (Gardner Fox, Mike Sekowsky, and Julius Schwartz, respectively) — and expecting that it would hold up just as well. 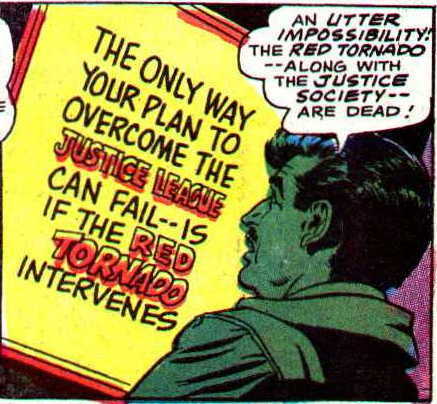 Flash #174 is a particularly notable comic book for several reasons, most of which have to do with Carmine Infantino. To begin with, there’s the book’s cover, pencilled by Infantino and inked by Murphy Anderson — rightly renowned as one of the best by that superlative team, featuring a transformative, convention-shattering treatment of the title logo that would have been even more astonishing if the same artists hadn’t pulled off something similar just a couple of months back, on the cover of Batman #194.